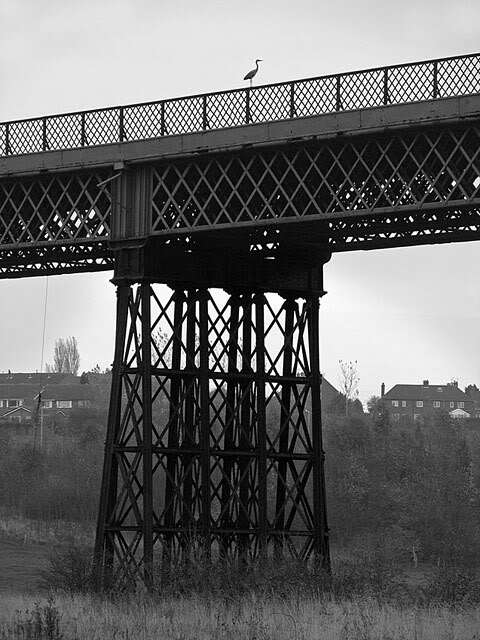 During the 19th Century the tentacles of the Great Northern Railway (GNR) stretched out across Nottinghamshire and Derbyshire and even into Staffordshire with a rambling branch from Uttoxeter to Stafford. 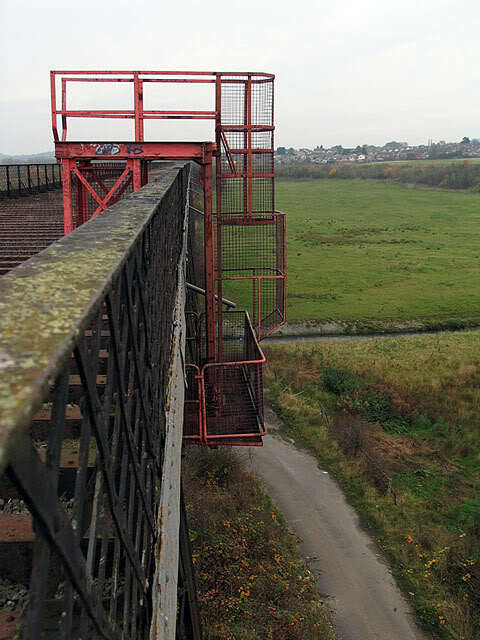 The Awsworth Junction to Derby line opened in January 1878 and finally closed to all traffic in 1973. 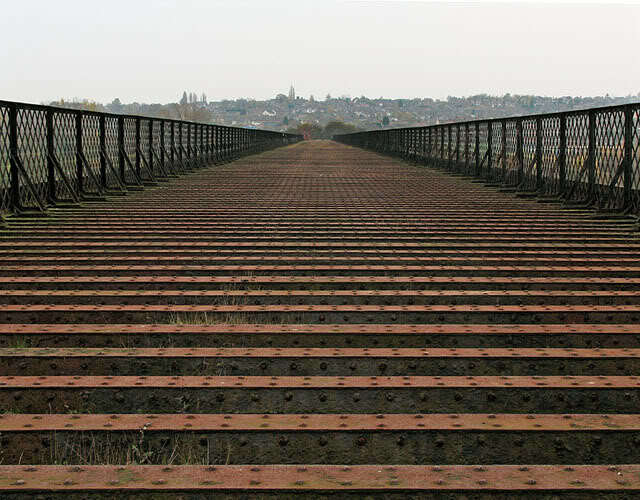 A significant reminder of this line is the1452 feet long Bennerley Viaduct across the Erewash Valley at a height of 60 feet. 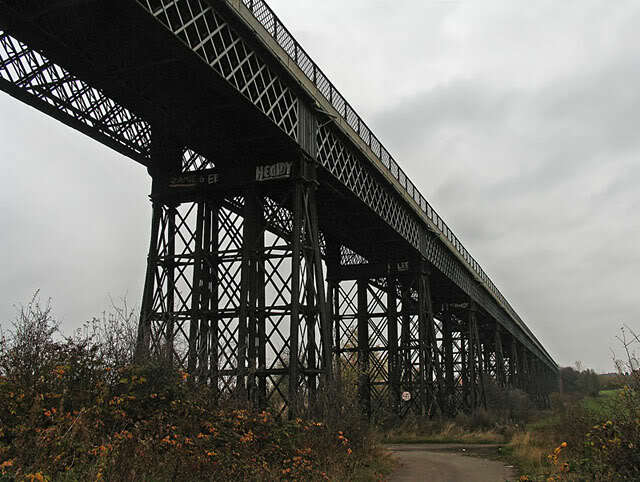 Constructed between May 1876 and November 1877, to the design of GNR Chief Civil Engineer Richard Johnson, the viaduct uses wrought iron rather than brick due to the unstable nature of the land. 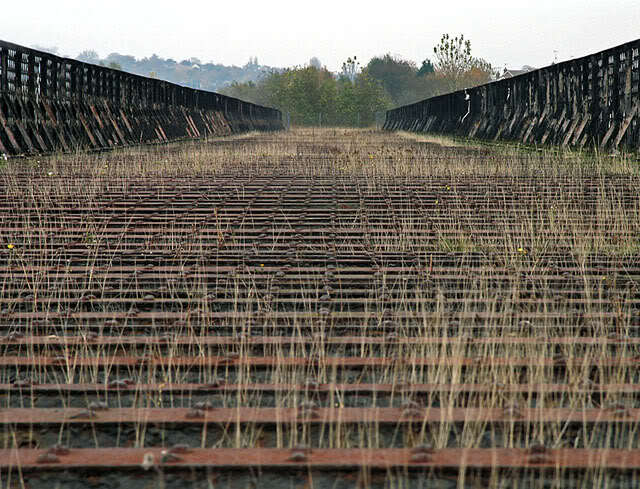 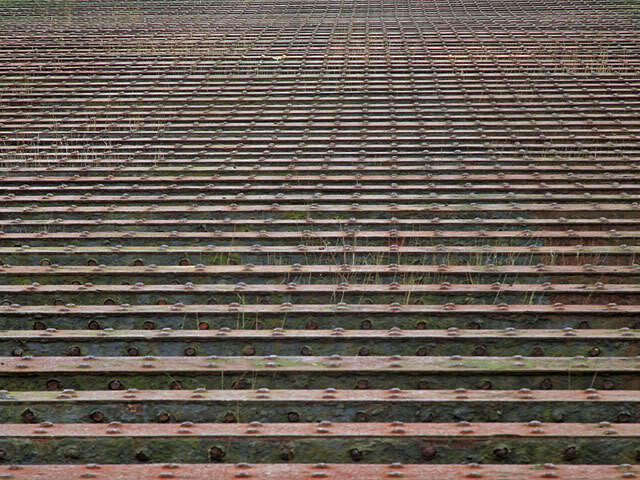 There are 16 lattice spans and three iron skew spans over the Erewash Canal and Midland Railway at the western end. 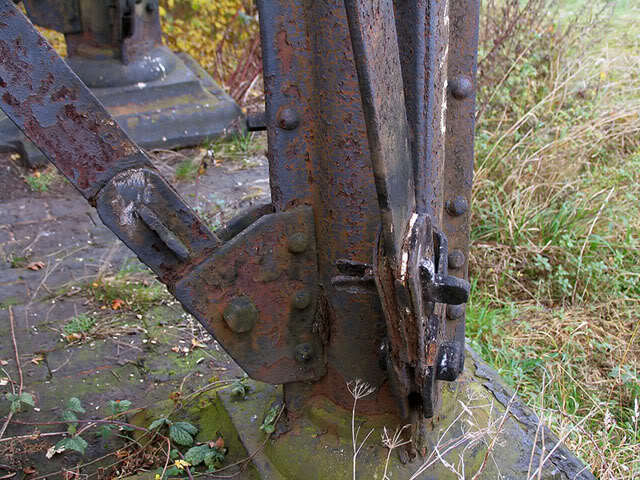 Demolition would be expensive as the wrought iron cannot be cut using gas axes and the structure has now been listed Grade II. 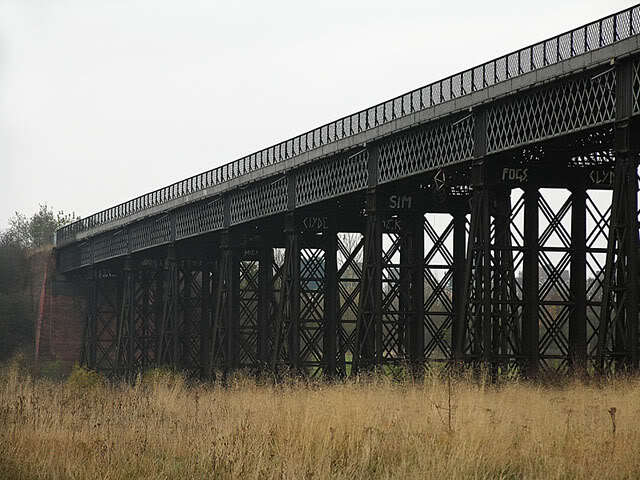 Currently owned by a railway cycle path organisation the viaduct is deteriorating and the deck in particular is developing some alarming rust holes. 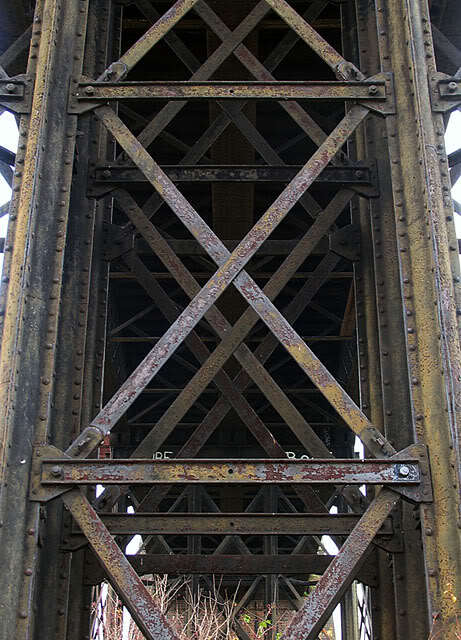 I doubt whether funding for maintenance will ever be forthcoming and would expect this spectacular piece of civil engineering to be removed in a few years time.